I was pleasantly surprised to find dozens of titles which celebrate, highlight, and explore stories surrounding Black women in history that are well known and ones you may have never heard of. 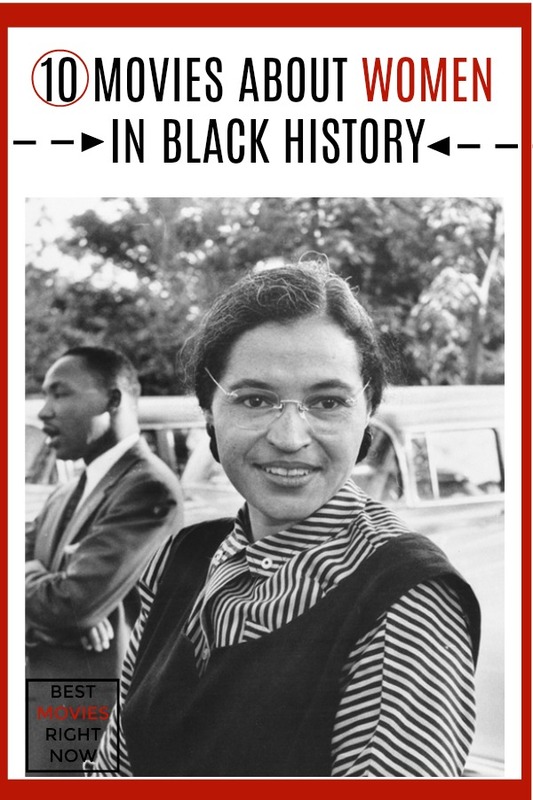 Many people believe Rosa Parks’ simple refusal to move to the back of a Montgomery, Alabama bus was her contribution to the Civil Rights Movement, but this engrossing look at her life tells the whole story. Based on the landmark Supreme Court case, an interracial couple fights the law that they cannot be recognized as married in the state of Virginia. Fannie Lou Hamer was the granddaughter of a slave and the youngest of 20 children. she will be remembered for winning the right to vote for black Americans and exposing America’s poverty by giving a voice to those in need. ‘Truth’ is an Emmy® Award-winning animated short film centering on the iconic speech ‘Ain’t I a Woman ‘ delivered by Sojourner Truth at the 1851 women’s convention in Akron Ohio. It is based on the book of the same name by Rebecca Skloot and documents the story of Henrietta Lacks, who was diagnosed with cervical cancer in the 1950s, and whose cancer cells (later known as HeLa) would change the course of cancer treatment. This historical documentary film about the 15 September 1963 murder of four African-American girls in the 16th Street Baptist Church in Birmingham, Alabama, that was bombed by four members of a Ku Klux Klan-affiliated racist group. In 1972, Shirley Chisholm announced her candidacy for president of the USA, launching the first-ever run by a woman and person of color for presidential nomination, which, as you’d expect, engendered strong, and sometimes bigoted opposition, setting off currents that affect American politics and social perceptions to this day. In 2004, Wangari Maathai became the first African woman to win the Nobel Peace Prize. The film centers specifically on Maathai, the movement’s founder, as she helps spark a movement to reclaim Kenya’s land from a century of deforestation, while providing new sources of livelihood to rural communities. Check out these Black History Month Worksheets by my friend Kelli at 3 Boys and a Dog. What other Black women in history would you add to this list?